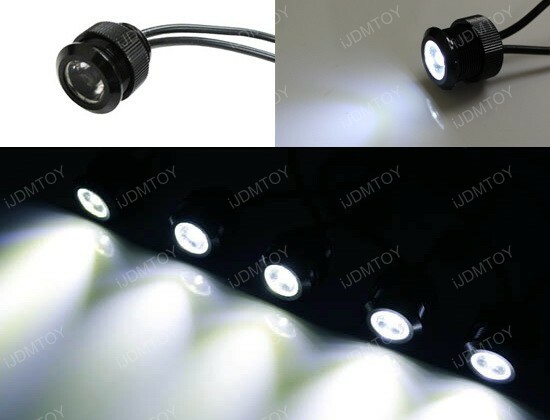 The 10W high power LEDayFlex Style LED daytime running lights feature a total of 10 piece 1W eagle eye LED lights which can be mounted virtually anywhere you please. 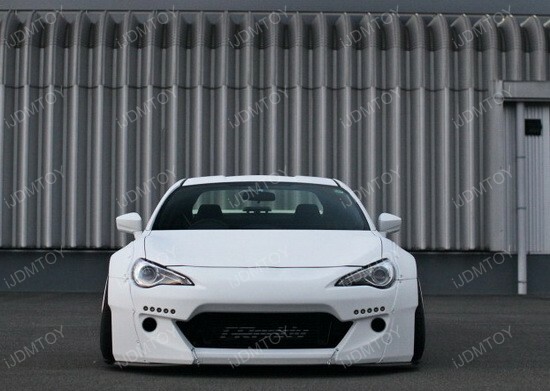 The LED DayFlex style daytime running light kit is universal and can fit a variety of vehicles that have free space. The installation process is straight forward but professional assistance is always recommended as it involves drilling and basic wiring. 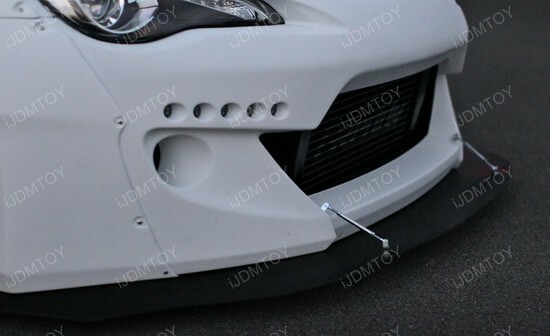 The drill bit is included to ensure the LED lights fit to the proper size provided. 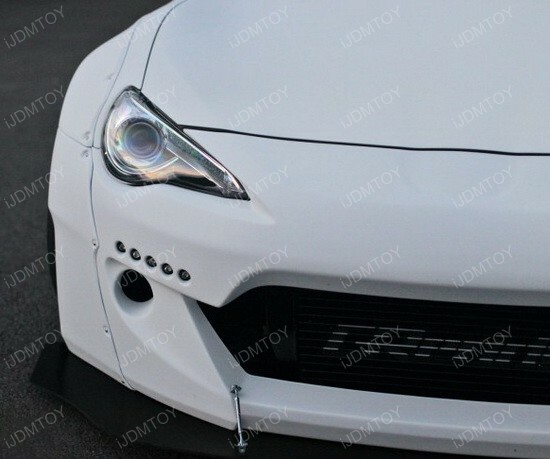 The LED DayFlex style daytime running lights are extremely bright and can be customized to imitate an identical appearance to the Rocket Bunny Version 2 body kit’s LED daytime running light. 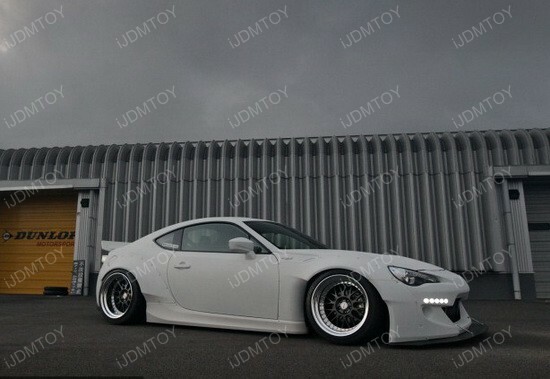 If you want to achieve a similar look to the Rocket Bunny Version 2 then iJDMTOY’s 10W LEDayFlex style LED daytime running lights can help you do just that. 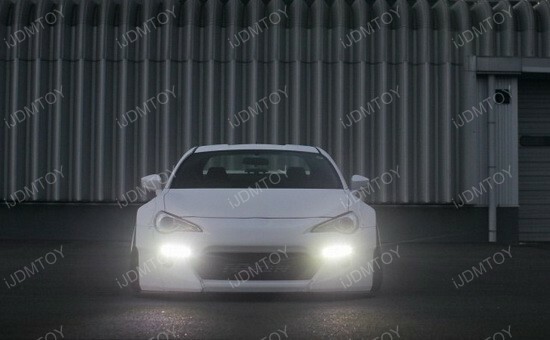 This entry was posted in - LED & HID Updates, Scion, Subaru and tagged daytime running lights, DRL, eagle eye LED lights, High Power LED Daytime Running Lights, LED DayFlex style, LED DRL, led lights, LEDayFlex LED, LEDayFlex LED Daytime Running Light, Rocket Bunny, Scion FR-S LED by Eric Wu. Bookmark the permalink.